← Where Will You Hide Your Pot O’ Gold? I LOVE this book! I bought it a few years ago for an electricity unit we were doing, but never actually got to use it. 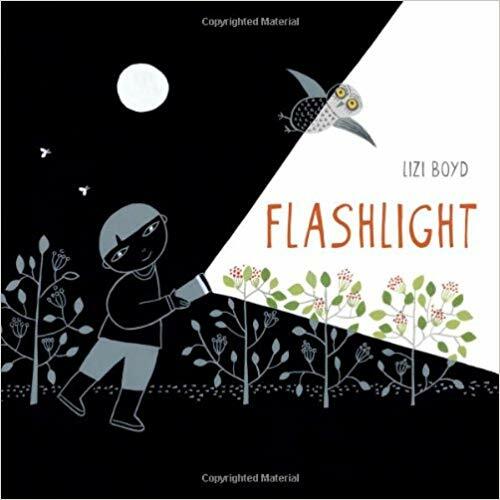 This week, however, I had half my class out with illnesses and thought it was a great time to read it and do an activity with it. 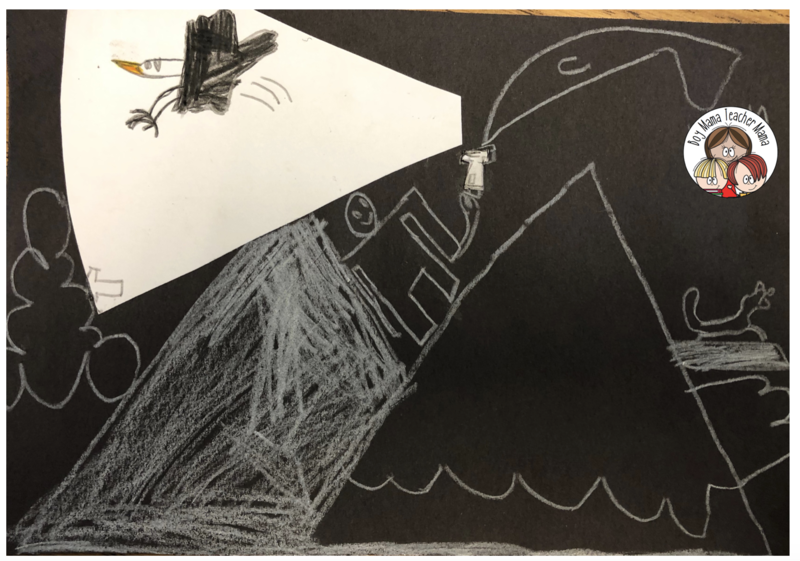 After reading and discussing the book, students were asked to create their own flashlight scene. 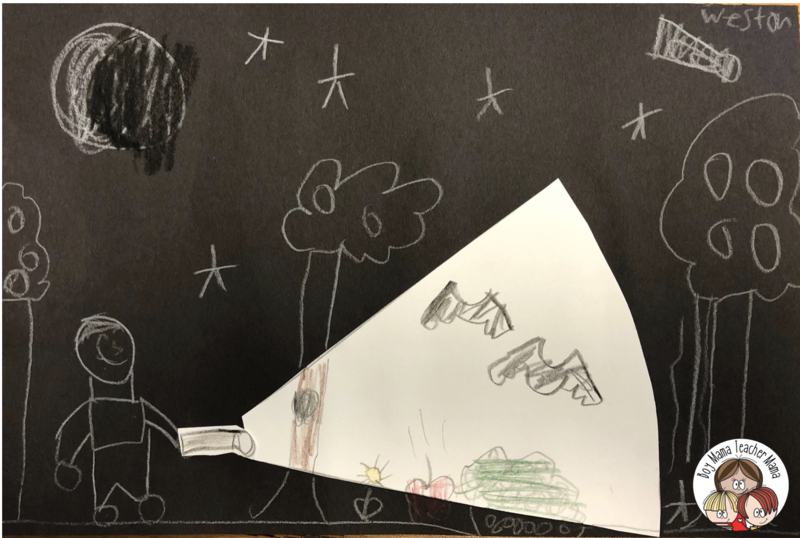 I had each student decided on a location- some chose their bedroom, their backyard, the woods and even their classroom. 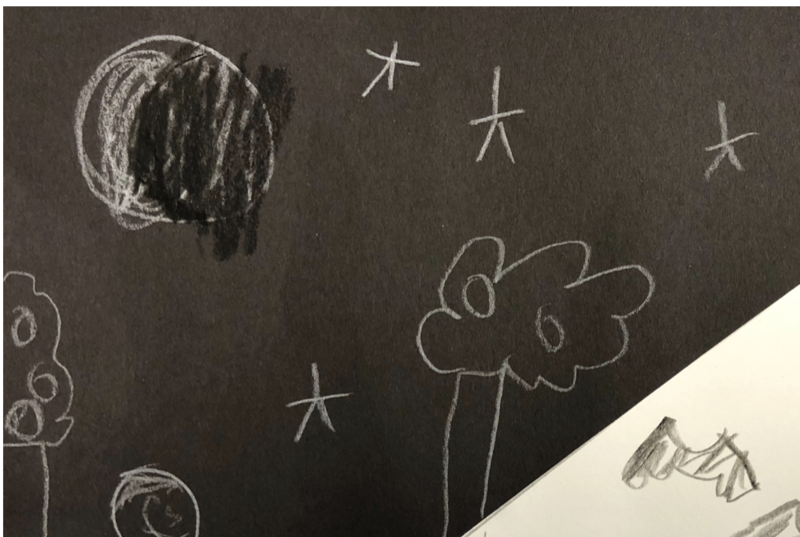 Once decided I had them draw themselves on the black paper using the white colored pencil. 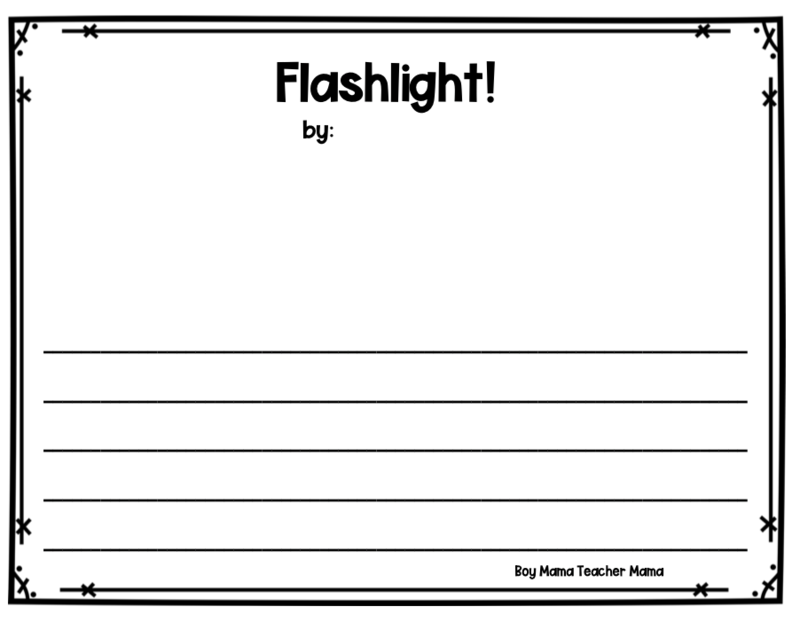 They then created a small flashlight using scraps of paper. 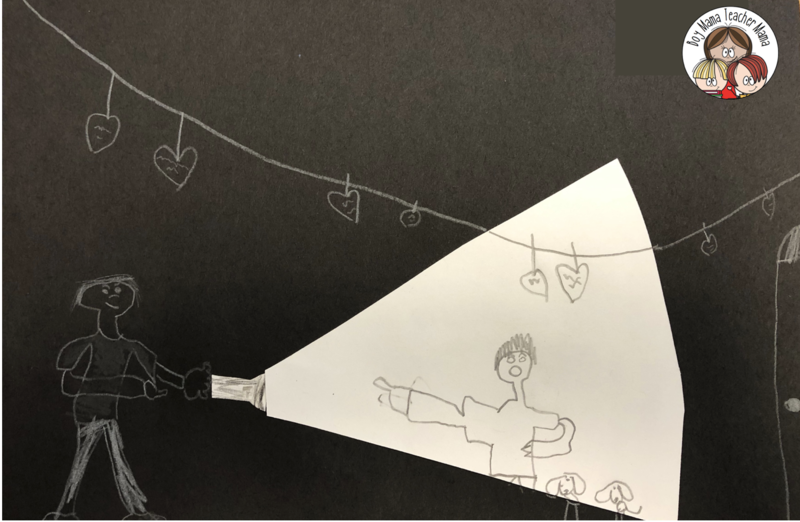 One student chose to make a candle and another a headlamp instead. I love how they think outside the box. 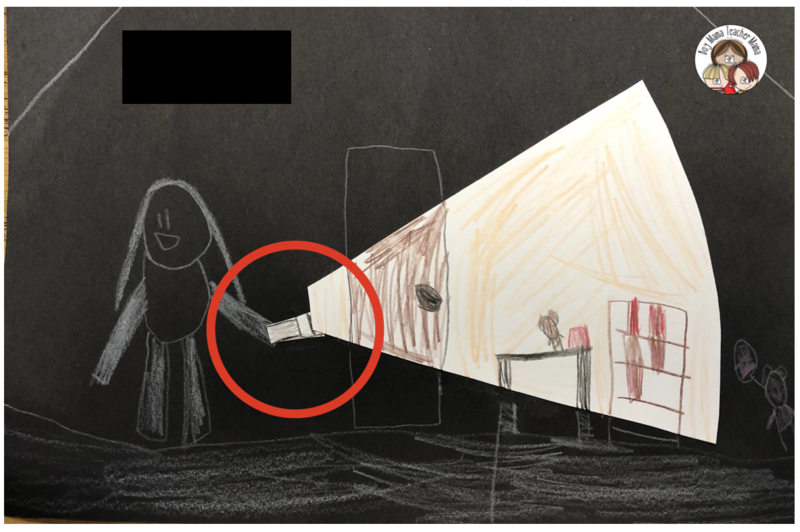 They then glued the flashlight on their hand in the drawing. 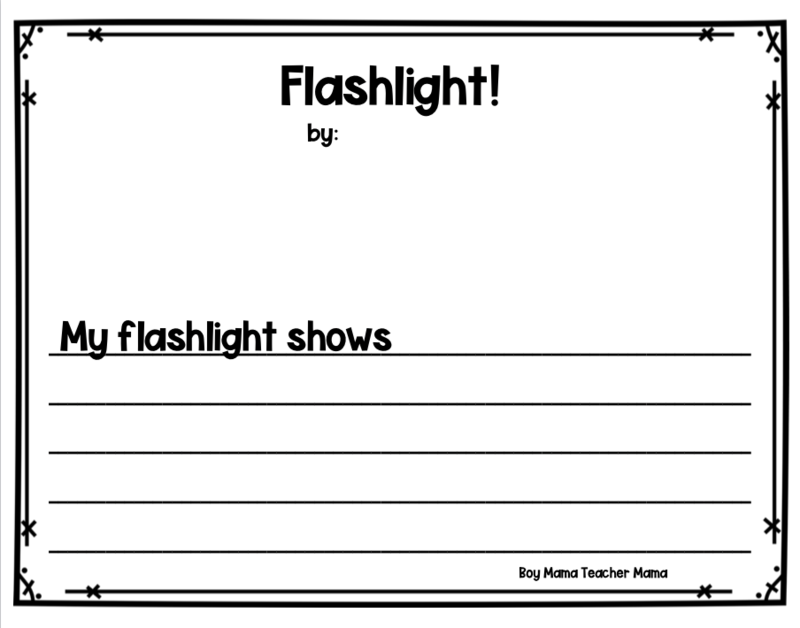 I pre-cut the “light” for the students so all they had to do was glue it on as if it is coming out of their flashlight. 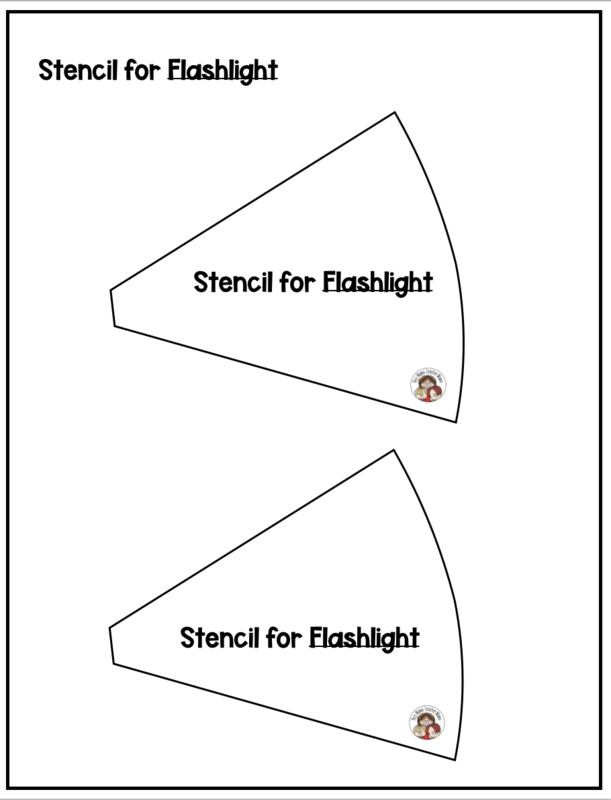 I have included a stencil for the light. Simply click on the stencil to download. 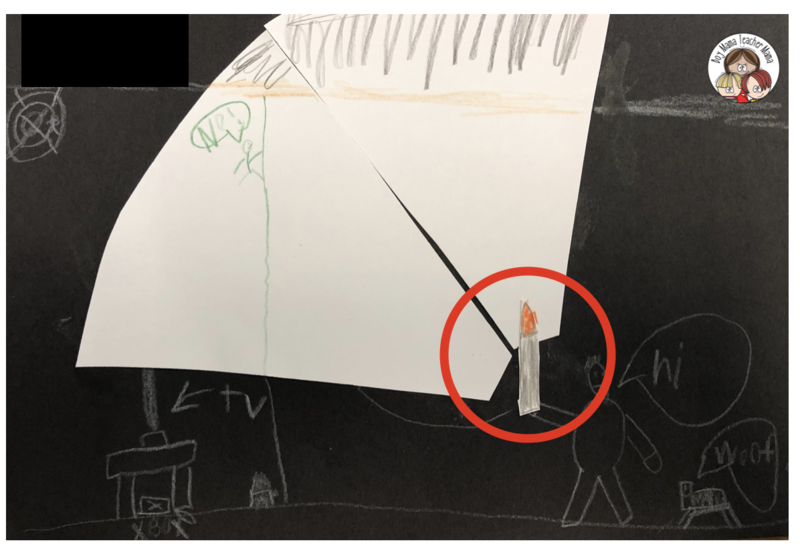 Students then drew what the flashlight showed with colored pencils and what was outside the light with the white pencil. The results varied so much, but they were all great and really showed each child’s personality. 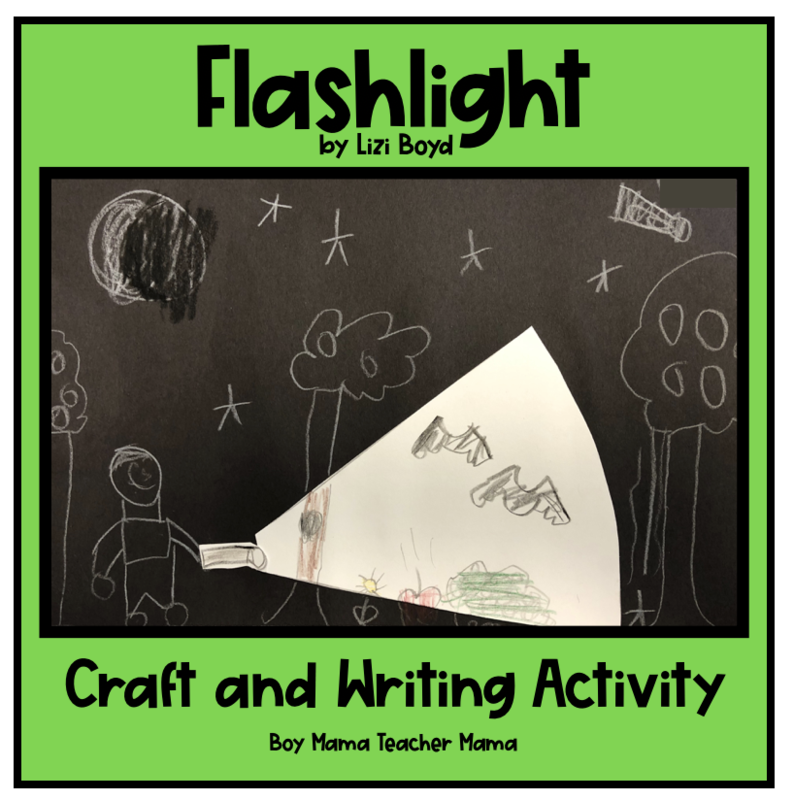 We did not do any writing with this activity although it would be easy to have students write about their scene and what they saw using their flashlights. 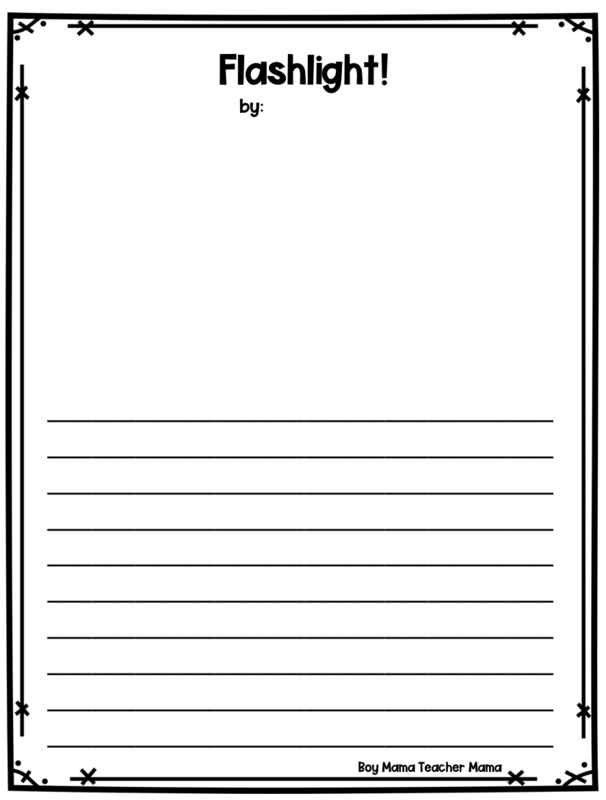 I have added a few different writing templates to go with this activity if you would like them. Click here to download the free template. If this is your first time visiting Boy Mama Teacher Mama, welcome! Did you know that you can also find us on Facebook, Pinterest, and Instagram? Stop by to see what is happening!